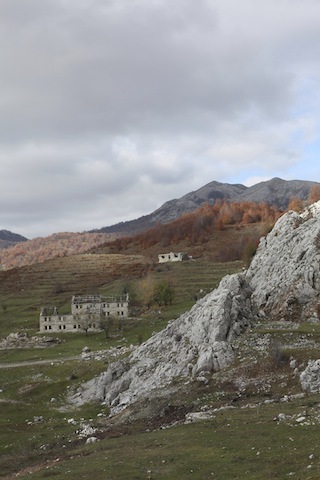 One of the intentions of this blog, as well as raising awareness of SOE’s wartime activities in Albania, is to map out a trekking route following in the footsteps of the ill-fated ‘Spillway’ mission of winter 1943/44. I’ve taken to referring to this putative route as the ‘Endurance Vile Trail’. Why? Well, that’s how Brigadier ‘Trotsky’ Davies, who led the mission, described his party’s experience, a few days before being shot through the liver and heel and his capture by the Germans (remarkably he survived, only to end up in Colditz after a brief stay at Mauthausen concentration camp). I’m pleased to say that we have some provisional dates for the inaugural ‘Endurance Vile Trail’ – and a pretty good tour leader too. 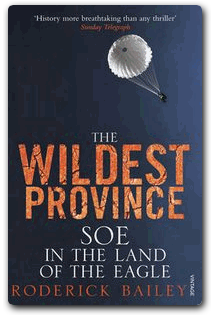 Dr Roderick Bailey, author of the acclaimed The Wildest Province: SOE in the Land of the Eagle, will be leading the first group, sometime in the second half of September (precise dates TBC). We’re capping numbers at 12 for a number of reasons – not least the fact that there aren’t any hotels in the villages we’ll be visiting, so much like the SOE officers themselves we’ll be relying on the hospitality of local people. The trail will follow the route outlined in the diary kept against regulations (and re-discovered by Roderick during his research) by Lt Col Arthur Frederick Crane Nicholls, the only member of the Coldstream Guards to be awarded the George Cross. The award was posthumous, sadly. His diary entries end in mid-January 1944 when, suffering from severe frostbite and gangrene, and unable to walk, he was forced to seek medical help. He died on 11 February 1944 in a house near Tirana. 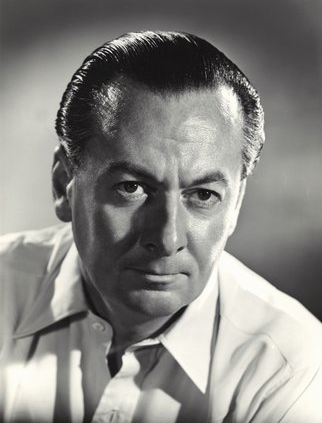 By then diary-keeping duties had passed to Major Alan Hare (future chairman of the Financial Times). 2100 hrs having nearly reached the summit, the guides, after much questioning, have to admit they have lost the way! The decision is taken to make camp but if we are to survive the night fires must be lit. Our clothes are already standing out stiffly round us like boards and every twig and branch is heavily covered in gel frost. To stand still for a moment is to court frostbite and death. BEKTASH and VALI, our fire-lighting experts, with some paper from a notebook, two candles from A.N.’s [Arthur Nicholls] emergency reserve and the most gallant determination eventually get a fire going against all probabilities. Everyone fights like mad to help it along, notably E.F.D. 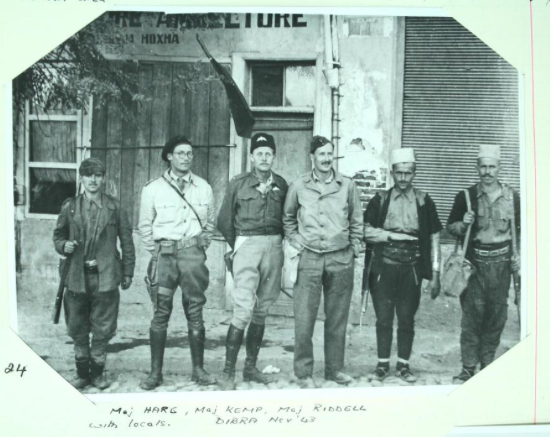 [Brig Davies] and F.N.’s [Fred Nosi, an Albanian partisan] tremendous and courageous puffing. It is a fight for our lives. Once the fire is going there can be no relaxation and incessant movement of the limbs is essential. We are all suffering badly, particularly in our feet which have now been consistently wet and frozen for more than a week. E.F.D.’s boots are causing him endless trouble and A.N.’s feet, due to bad circulation, are in a very poor way. Cpl SMITH has broken his boots in the leg and they must now be cut to get them on. 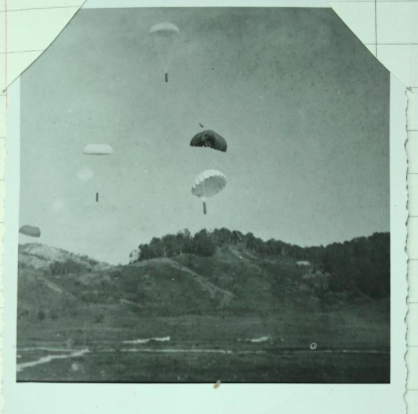 We’re hoping that September’s trek will be considerably less demanding (the weather should be better and we won’t expect anyone to march up an exposed hillside under heavy fire, for instance). However, it will involve long days on foot in mountainous country, scrambling over challenging terrain, and probably a couple of nights camping out. We’ll do our best to plan in luxuries such as hot showers and sit-down loos, but these can’t be guaranteed – the area we’ll be in has no tourist infrastructure. Indeed, it only got a tarmac road last year, and that ends prematurely. I’ll be mapping out the route this summer, and shall obviously be posting about my experiences anon. Arrangements on the ground will be organised by Elton Caushi of Albaniantrip. We’re confident that the first Endurance Vile Trail will not be the last – the landscape is beautiful and unspoiled, the locals incredibly welcoming (and generous with their raki) and the story of the Spillway mission utterly compelling. Some Friday fun. I found this letter in the private papers of the Tory MP Julian Amery (1919-1996), who served with SOE in Albania in 1944. His book on his time there, Sons of the Eagle (yours for a mere £293.75), is a classic account of guerrilla warfare and his autobiography, Approach March, is filled with great anecdotes. Oddly, though, it doesn’t mention his brother, John, who was hanged for treason after the war. Being as your Honour knows a humble man of agricultural habits, depending on the goodness of the seasons for stuff to live, I most humbly beg to put before your Honour these facts. I am family man with wife and seven children, last of which is still milking parental mother and suffering from pulmonary catastrophe of the stomach, and eight on the way by grace of God and my action. Therefore, I am poor man and ask most honourable Sahib to return to your employ. If there be a place even so small in the backside of your benevolence this servant prays that he may be allowed to creep inside. 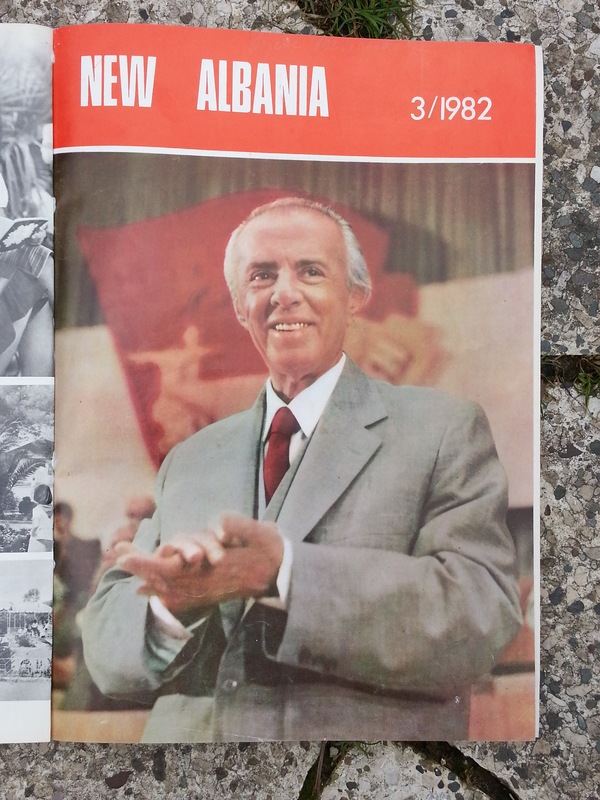 I’ve posted to Facebook another instalment of New Albania magazine, courtesy of the Albaniantrip.com collection of communist-era memorabilia, kicking off with a feature entitled “Enrichment of the Copper Mineral Ore”. Key reading for all commodities traders, if it weren’t a) 30 years out of date and b) probably all lies anyway. “Tourist Albania” extolls the virtues of Durrës as a holiday destination. My mother visited Durrës shortly after this article was written and the only refreshment she could find was stale brown bread made from something that may or may not have been flour, and red wine that was 30% dead fly. All served with a snarl by an old black-clad woman who threw the bread on the table before stomping off to a back room. 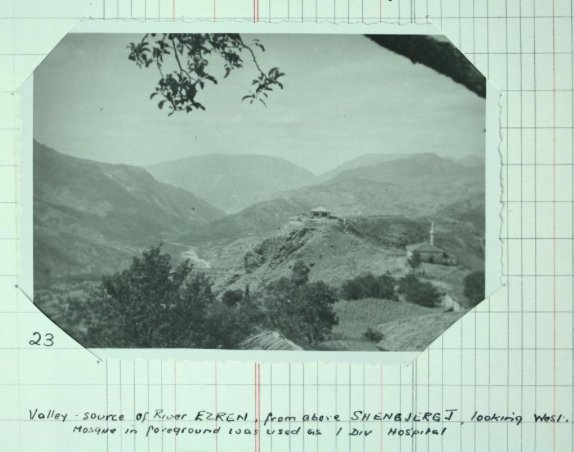 Keen readers of New Albania will know that anything of interest in Durrës, with the exception of the Roman amphitheatre and King Zog’s old villa, was knocked down under communism. 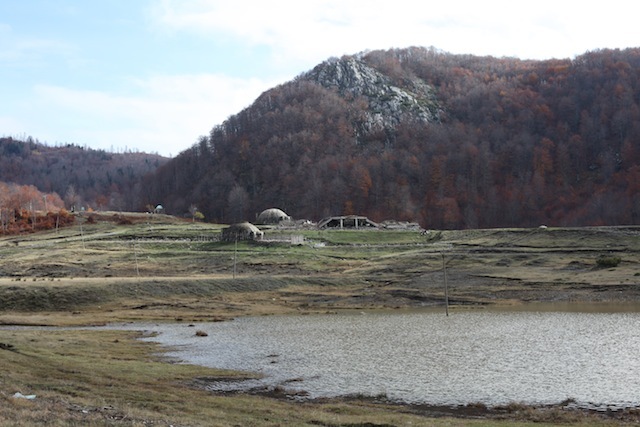 “The Steel Roads are Extending” is a plug for Albania’s growing railway network – “Like all the other railways of Albania, this one, too, is being built with the voluntary labour of the youth. 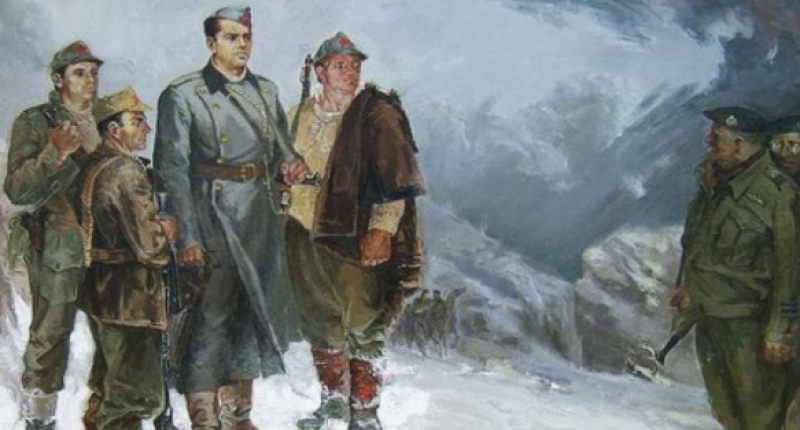 The brigades of young volunteers come here from all over Albania and work for a month.” Voluntary labour parties being the natural outcome when the exploitation of man by man is banned.